Kitsap A . R . C . S .
We meet at 7 PM on the 2nd Tuesday of each month at Marlin Little Field or at The Sunnyslope Improvement Association during the winter. For more information on how to join or to get involved, contact us. We will be replacing the fabric canopy that was destroyed by last winter's snow storm with a steel metal shed. Checks may also be given to any club officer at any club meeting or event. Donations may also be made online at the Electronic Donations Page. On Saturday, April 27, starting at 9 am, we're looking to have a field maintenance working party. We're going to be bringing in a tractor and dump trailer to get dirt and fill in many of the sink holes, low spots and try to level some of the field on the Southwest corner of the rough area. This will also be an opportunity to put away the canvas covers from the collapsed structure, trim up some of the trees and scotch broom. Estimate the time to be between 3 - 4 hours, then plenty of open flying. The 2019 Build Challenge will have entrants constructing a "new" airplane, documenting their progress with pictures on the club web site or Facebook page. All the aircraft will be flown for the first time on the same day. See Build Challenge 2019 for details. The Academy of Model Aeronautics is the world's largest model aviation association, representing a membership of more than 175,000 from every walk of life, income level and age group and is open to anyone interested in model aviation. AMA District XI includes the states of Alaska, Idaho, Montana, Oregon and Washington. Learn to Fly - Free! The Introductory Pilot Program is free to the trainee. It gives the beginning pilot an opportunity to learn how to fly using a club-supplied airplane and transmitter. 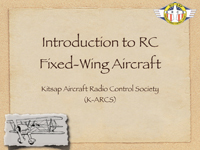 The instructor's transmitter has full control of the aircraft but at any time, with the flip of a switch, allows the trainee to pilot the airplane with a second transmitter. It's a great way to learn about model airplanes while getting hands-on flying experience. For more information, contact the Head Flight Instructor. 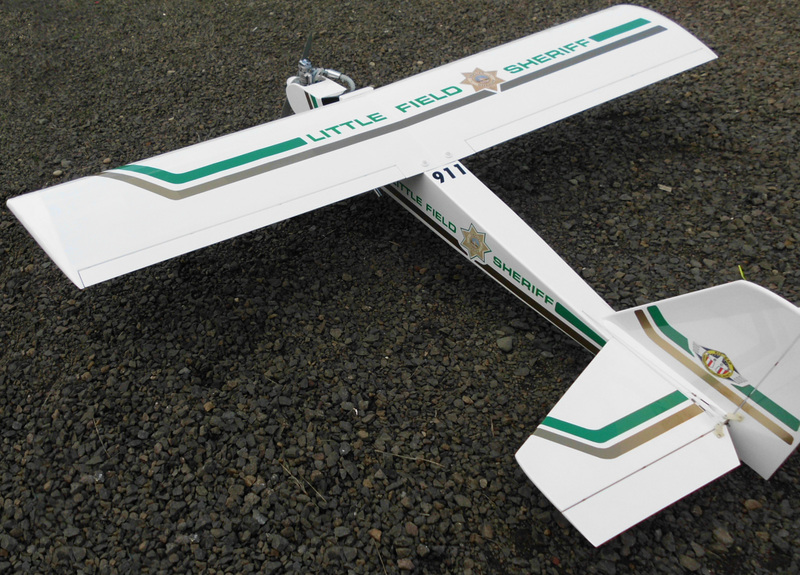 Click here to get an idea of what it's like to fly an R/C aircraft. Thinking about buying an R/C aircraft? Click here to get some some pointers. Apr 17: Updated Flight Operations & Safety Briefings. Apr 12: Added meeting minutes for March & April; added April 27 Work Party announcement to Club News. Apr 4: Removed Brian's Combat! wing material request; updated Upcoming Events; added canopy replacement & donation info. Mar 2: Added Brian's Combat! wing material request. Feb 23: Updated Upcoming Events & Club Calendar; added February Meeting minutes; added Warbirds Fly-In page; updated KC's Build Challenge photos. Feb 10-11: Updated KC's Build Challenge photos. Feb 9: Updated T-28 Racing Rules; updated KC's Build Challenge photos; added Meeting Minutes for 10/2017-1/2019. Take the Tremont Exit, turn west onto Clifton Rd. Travel 4.1 miles and turn left onto Sunnyslope Rd. Drive 1.9 miles, then turn right through the yellow gate. Proceed down the dirt road to the field. Turn right on Lake Flora Rd. Proceed until reaching Sunnyslope Rd. Turn left onto Sunnyslope Rd. and proceed 0.9 miles. Turn left through the yellow gate to the field. At Gorst, keep right to remain on Hwy 3. Proceed 1.9 miles to the top of the hill, then turn left on Sunnyslope Rd. Drive 1.3 miles, then turn right to remain on Sunnyslope Rd. Proceed 1.9 miles, then turn right through the yellow gate to the field.